This is the Liong Mah Designs XV. 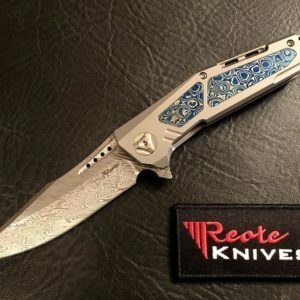 This XV is his fifteenth year as a designer anniversary knife design and his first integral design. 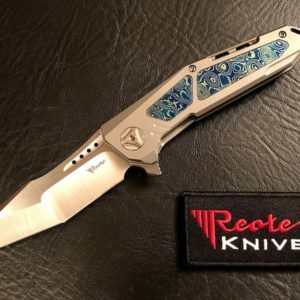 This knife features a hand formed titanium pocket clip a with ceramic ball. The weight is kept down ala the Michael Burch handle hollowing. 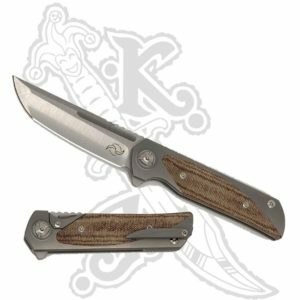 The blade is made from a hand-rubbed CPM-S35VN blade that rides on a ball bearing system. This knife comes with a plush zipper pouch and cleaning cloth. 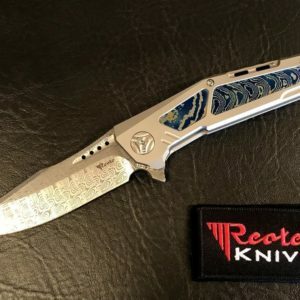 Manufactured by Reate Knives.